The current version of top level of football in Russia has been running since 1890, with Dumbarton F.C. & Rangers F.C. sharing the first ever league title. Incidentally Rangers F.C. is the most successful team, having won 54 league titles. One team from Scotland have won the European Champions League. Maybe it's because I'm from the UK but buying football shirts from Scotland seems a bit boring. It does get a bit more interesting when you start searching for teams a bit further down the footballing pyramid though. Plus if a team was to release a particularly unique design it wouldn't be too difficult to buy the shirt. My three most recent Scottish shirts that I have added to my collection. 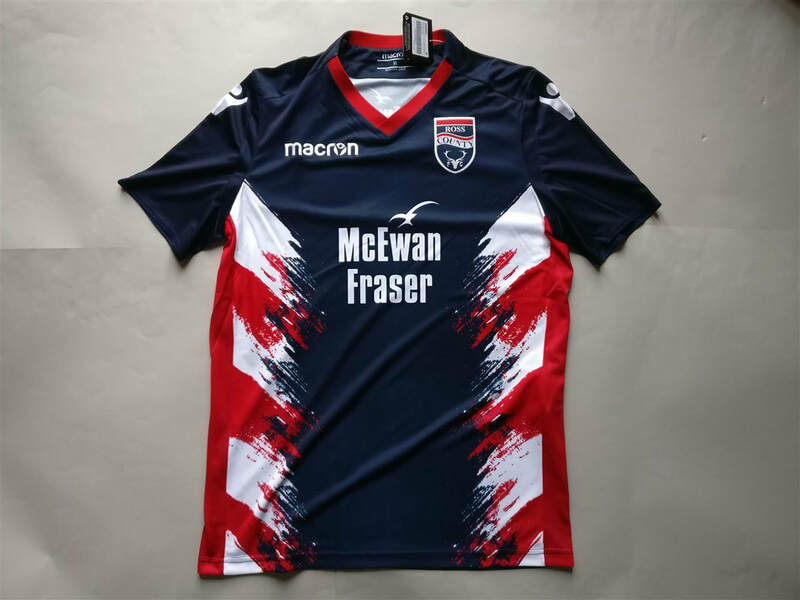 If you are looking to buy a Scottish club football shirt from an official club store then click the link below and it will take you to a list of clubs to choose from. See below for my entire collection of Scottish football shirts (not including the most recent three).